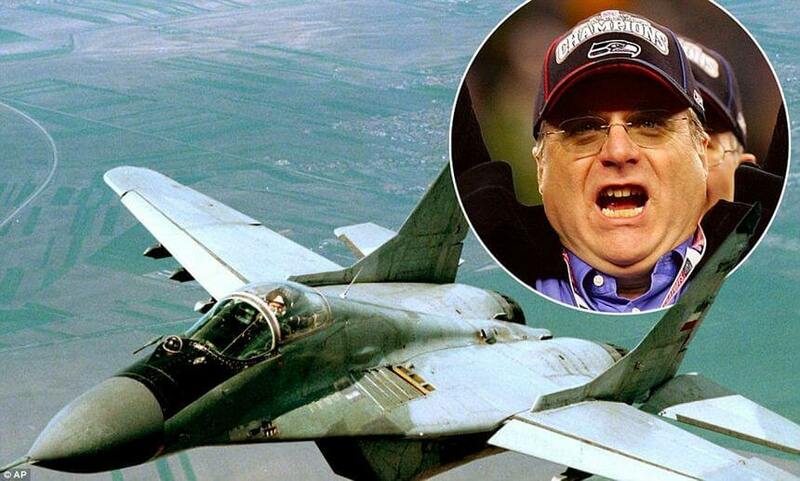 Paul Allen, co-founder of the Microsoft has bought his own MIG 29 Fighter Jet worth 13.5$ billion. The MIG 29 has a max speed of 1,518 mph and a range of 1,500km. The sultan has a brand new, Boeing 747 for 100$million with fully customized interior, 24 carat gold plating and crystal basins adding an extra 120$ million in additional cost. The plane has a range of 13,450 km and can take up to 416 passengers. 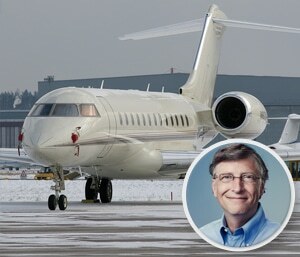 Microsoft tycoon, Bill Gates is an owner of $40 million jet. The BD-700 has a range of 7710 miles and can take 12 passengers. 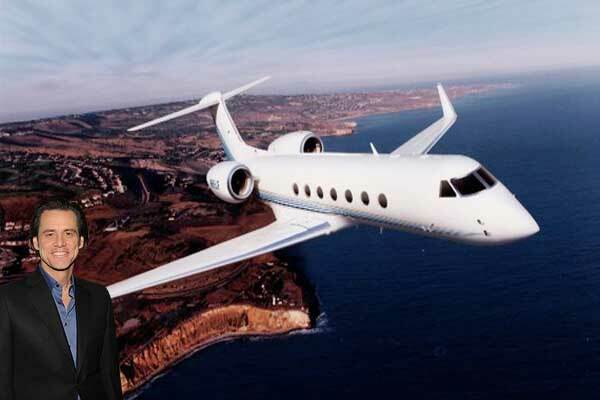 Jim Carey, American famous actor bought a luxurious Gulfstream 5 for $58 million. It has a speed of 966 km/h and can take passengers. 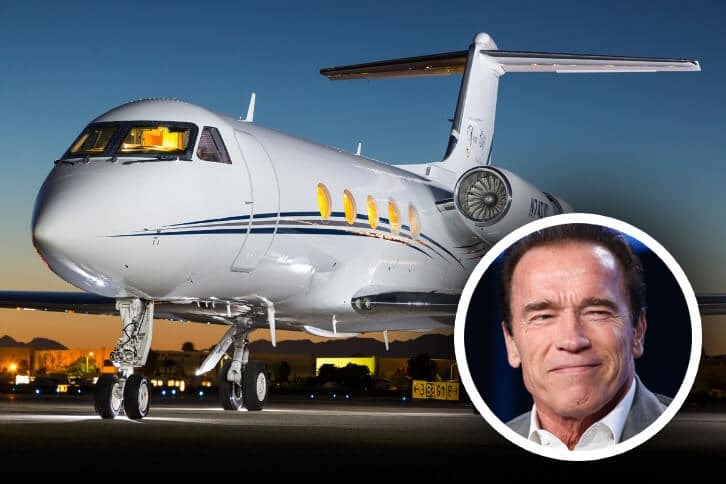 Arnold Schwarzenegger, formerly known as body builder and actor turned into State Governor and decided to get himself a Gulfstream III for $38 million. His private jet has a capacity 3 for 12 passengers and can range of 6,760 km. 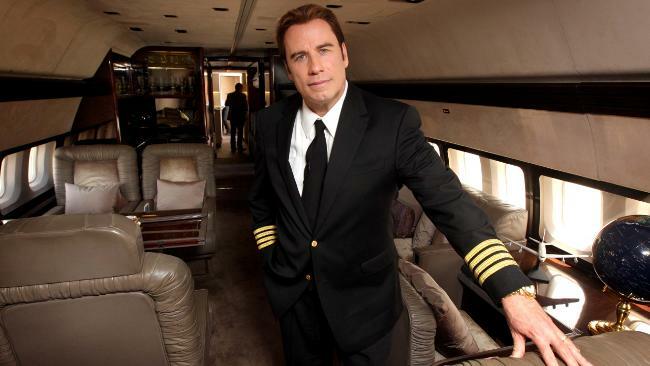 John Travolta is an owner and pilot of a Boeing 707-138 that costs 20$ million. The 707-138 is a plane designed for long distances and can take up to 200 people, although Travolta has modified the interior substantially. 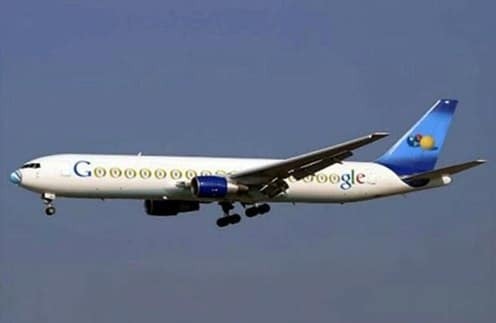 Google owners bought Boeing 767-200 for 25 million. Not only that but also they have splashed out a decent amount of money to be able to use NASA’s private runway. The plane can take 180-300 passengers and has a maximum speed of 568 mph. 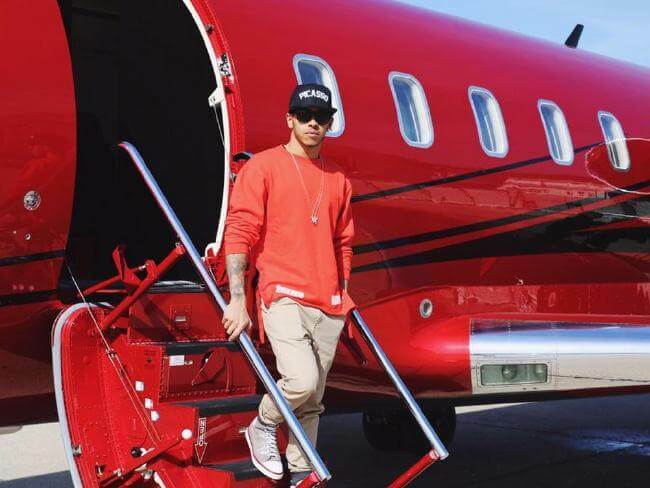 Lewis Hamilton, well know British champion racing driver has a private jet worth $20million. The plane has a range of 5,186 km and maximum speed of 528mph. Tom Cruise is also one of the celebrities that has his own private jet that worth’s 7$ million. The Gulfstream 4 has a range of 8000 km and a top speed of 608 mph. The plane actually belongs to his daughter, Suri Cruise. Do you know more famous people that have private planes? Share in comments.